Last Saturday, Members of Dungarvan & Lismore, Adopt a Monument Group explored Dungarvan's Ice Age past when they visited the long running Dungarvan Valley Caves Project (supported by the Heritage Council). 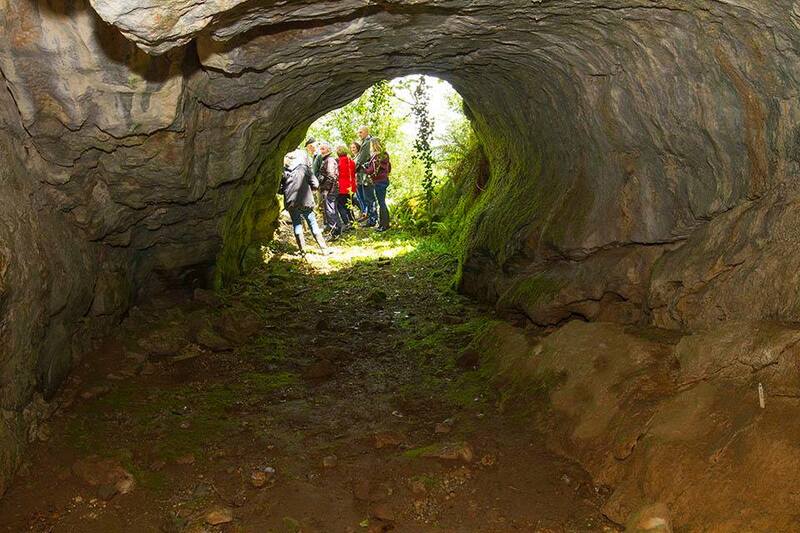 The limestone area between Dungarvan and Cappagh valley has over 25 caves including Dungarvan's well known Shandon Caves. The group met Dr. Coilin O'Drisceoil from Kilkenny and his University of Oxford-based colleagues Drs. Richard Jennings and Simon Collcutt who have been digging small trial pits in search of the remains of what might be Ireland's earliest people. 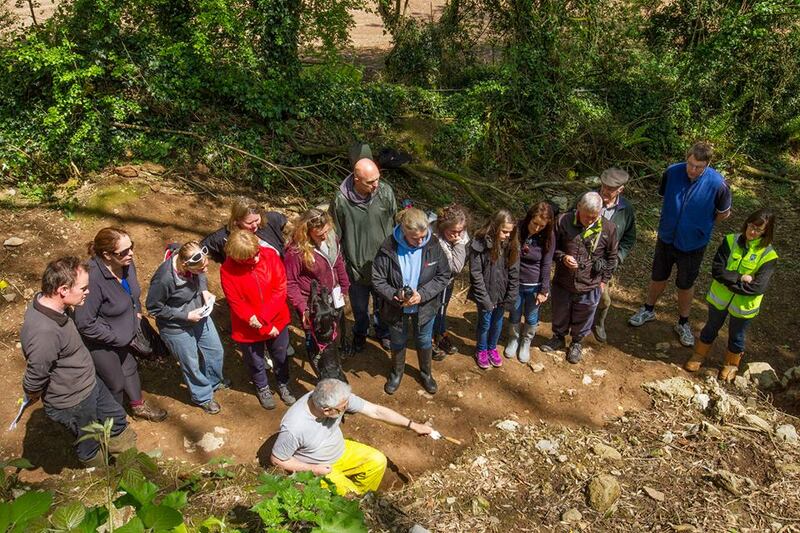 The valley has the potential to be one of the most exciting and important archaeological sites in Ireland. Dr. O'Drisceoil will give a talk about the project later in the year at Waterford County Museum. 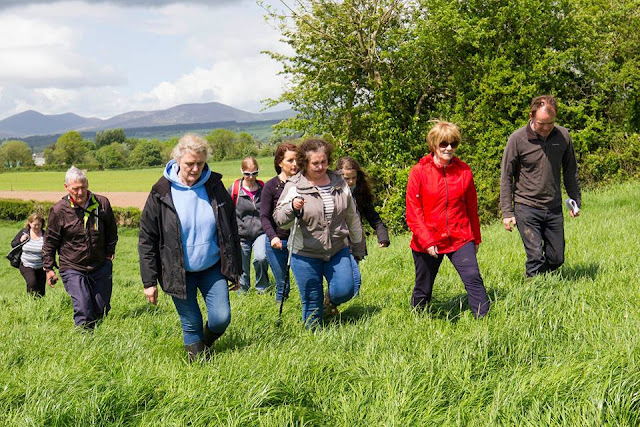 To date, nobody has been able to find human traces in Ireland older that about 9,000 years old. A 2009 report from the Dungarvan Valley Caves Project was included in Decies: The Journal of the Waterford Archaeological and Historical Society. 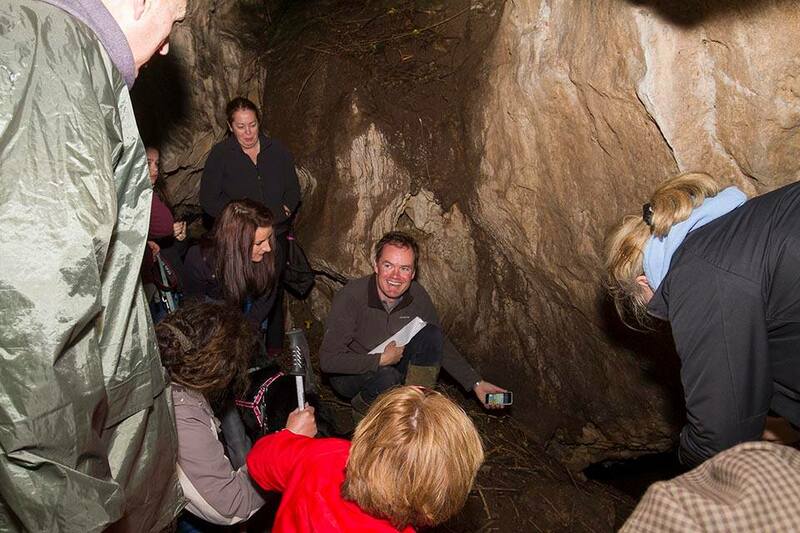 It makes for interesting reading and outlines some of the science behind the Dungarvan Valley Caves Project. More information about the Heritage Council's Adopt a Monument Programme, including information on the Gallow's Hill, Dungarvan and Roundhill, Lismore elements of the project can be can be found online.